Pub rock is a rock music genre that was developed in the early to mid-1970s in the United Kingdom. A back-to-basics movement which incorporated roots rock, pub rock was a reaction against expensively-recorded and produced progressive rock and flashy glam rock. Although short-lived, pub rock was notable for rejecting huge stadium venues and for returning live rock to the small intimate venues of its early years. Since major labels showed no interest in pub rock groups, pub rockers sought out independent record labels such as Stiff Records. Indie labels used relatively inexpensive recording processes, so they had a much lower break-even point for a record than a major label. Edmunds was born in Cardiff. As a ten year old, he first played in 1954 with a band called the Edmunds Bros Duo with his older brother Geoff (born in 1940, Cardiff); this was a piano duo. Then the brothers were in the Stompers later called the Heartbeats formed around 1957 with Geoff on rhythm guitar, Dave on lead guitar, Denny Driscoll on lead vocals, Johnny Stark on drums, Ton Edwards on bass, and Allan Galsworthy on rhythm. Then Dave and Geoff were in The 99ers along with scientist and writer Brian J. Ford. After that Dave Edmunds was in Crick Feather's Hill-Bill's formed in c 1960, with Feathers (Edmunds) on lead guitar; Zee Dolan on bass; Tennessee Tony on lead vocals; Tony Kees on piano and Hank Two Sticks on drums. The first group that Edmunds fronted was the Cardiff-based 1950s style rockabilly trio The Raiders formed in 1961, along with Brian 'Rockhouse' Davies on bass (born 15 January 1943, Cardiff) and Ken Collier on drums. Edmunds was the only constant member of the group, which later included bassist Mick Still, Bob 'Congo' Jones on drums and John Williams (stage name John David) on bass. The Raiders worked almost exclusively in the South Wales area. Brian J. Ford FLS HonFRMS is an independent research biologist, author, and lecturer, who publishes on scientific issues for the general public. 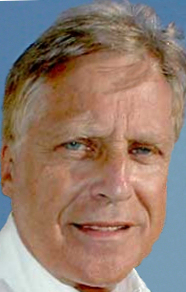 He has also been a television personality for more than 40 years. In 1966, after a short spell in a Parlophone recording band, the Image (1965–1966), with local drummer Tommy Riley, Edmunds shifted to a more blues-rock sound, reuniting with Congo Jones and bassist John Williams and adding second guitarist Mickey Gee to form the short lived Human Beans,  a band that played mostly in London and on the UK university circuit. In 1967, the band recorded a cover of "Morning Dew" on the Columbia label,  that failed to have any chart impact. After just eighteen months, the core of 'Human Beans' formed a new band called Love Sculpture that again reinstated Edmunds, Jones and Williams as a trio. Love Sculpture released their debut single "River to Another Day" in 1968. Their second single was a quasi-novelty Top 5, a reworking Khachaturian's classical piece "Sabre Dance" as a speed-crazed rock number, inspired by Keith Emerson's classical rearrangements. "Sabre Dance" became a hit after garnering the enthusiastic attention of British DJ John Peel, who was so impressed he played it twice in one programme on "Top Gear". The band issued two albums. Michael Richard 'Mickey' Gee was a rock and roll guitarist who played alongside some of the most prominent Welsh musicians of the last forty years. After Love Sculpture split, Edmunds had a UK Christmas Number 1 single in 1970 with "I Hear You Knocking",  a Smiley Lewis cover, which he came across while producing Shakin' Stevens and the Sunsets' first album entitled A Legend. The recording was the first release on Edmunds' manager's MAM Records label. This single also reached No. 4 in the US, making it Edmunds' biggest hit by far on either side of the Pond. It sold over three million copies, and was awarded a gold disc. Edmunds had intended to record Wilbert Harrison's "Let's Work Together", but when he was beaten to that song by Canned Heat, he adapted the arrangement he intended to use for it to "I Hear You Knocking", producing a highly original remake. Unfortunately, the success of the single caused EMI's Regal Zonophone Records to use an option that it had to claim Edmunds' album, 1972's Rockpile , and the momentum from the single's success on a different label went away. "I Hear You Knocking" is a rhythm and blues song written by Dave Bartholomew. 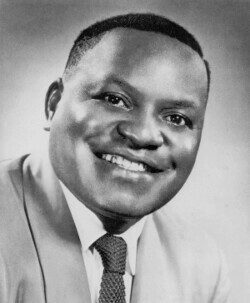 New Orleans rhythm and blues singer Smiley Lewis first recorded the song in 1955. The lyrics tell of the return of a former lover who is rebuffed and Huey "Piano" Smith provided the prominent piano accompaniment in the style associated with Fats Domino. Overton Amos Lemons, known as Smiley Lewis, was an American New Orleans rhythm and blues singer and guitarist. The music journalist Tony Russell wrote that "Lewis was the unluckiest man in New Orleans." He hit on a formula for slow-rocking, small-band numbers like 'The Bells Are Ringing' and 'I Hear You Knocking' only to have Fats Domino come up behind him with similar music with a more ingratiating delivery. Lewis was practically drowned in Domino's backwash." Shakin' Stevens and the Sunsets were a rock and roll group formed in Cardiff, Wales in 1969. Although most notable now for their lead singer Shakin' Stevens, who went on to become one of the UK's most popular artists of the 1980s, the band released several records and toured extensively throughout the 1970s. A version of the Sunsets, containing original members, still tours annually in the UK, Europe and Australia. Edmunds' only acting role followed, as a band member in the David Essex movie Stardust . After learning the trade of producer, culminating in a couple of singles in the style of Phil Spector, "Baby I Love You" and "Born to Be with You", he became linked with the pub rock movement of the early 1970s, producing Brinsley Schwarz, Ducks Deluxe, and also the Flamin' Groovies, using a stripped down, grittier sound. Also in this time frame, Edmunds produced the 1972 debut album of the British blues band Foghat. David Essex is an English musician, singer-songwriter, and actor. Since the 1970s, he has attained 19 Top 40 singles in the UK and 16 Top 40 albums. Internationally, Essex had the most success with his single "Rock On". He has also had an extensive career as an actor. Phillip Harvey Spector is an American record producer, musician, and songwriter who developed the Wall of Sound, a music production formula he described as a Wagnerian approach to rock and roll. Spector was dubbed the "First Tycoon of Teen" by writer Tom Wolfe and is acknowledged as one of the most influential figures in pop music history. After the 1970s, Spector mostly retired from public life. In 2009, he was convicted of second-degree murder and has remained incarcerated since. Rockfield is a small village in Monmouthshire, south east Wales. It is located beside the River Monnow, about 2 miles (3.2 km) north-west of Monmouth, at the junction of the B4233 to Abergavenny and the B4347 to Grosmont. Rockfield Studios is situated just south of the village. Monmouth is the historic county town of Monmouthshire, Wales and a community. It is situated where the River Monnow meets the River Wye, within 2 miles (3.2 km) of the border with England. 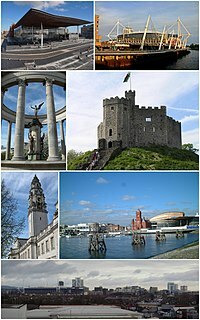 The town is 30 miles (48 km) northeast of Cardiff, and 113 miles (182 km) west of London. It is within the Monmouthshire local authority, and the parliamentary constituency of Monmouth. Monmouth's population in the 2011 census was 10,508, rising from 8,877 in 2001. Rockfield Studios is a recording studio just outside the village of Rockfield, Monmouthshire near Monmouth in Wales. RecordProduction.com called the studios one of the top five (recording) studios in the world. His own solo LP from 1975, Subtle as a Flying Mallet , was similar in style. The Brinsley Schwarz connection brought about a collaboration with Nick Lowe starting with this album, and in 1976 they formed the group Rockpile, with Billy Bremner and Terry Williams. Because Edmunds and Lowe signed to different record labels that year, they could not record as Rockpile until 1980, but many of their solo LPs (such as Lowe's Labour of Lust and Edmunds' own Repeat When Necessary ) were group recordings. Edmunds had more UK hits during this time, including Elvis Costello's "Girls Talk", Nick Lowe's "I Knew the Bride", Hank DeVito's "Queen of Hearts" (later a larger, international hit for American country-rock singer Juice Newton), Graham Parker's "Crawling from the Wreckage", and Melvin Endsley's "Singing the Blues" (originally a 1956 US Country No. 1 hit for Marty Robbins, then a US pop No. 1 cover for Guy Mitchell, and a UK No. 1 for both Mitchell and Tommy Steele). The album Repeat When Necessary received a Silver Certification from the British Phonographic Industry on 20 March 1980 (for over 60,000 copies sold in the UK). The single "Girls Talk" also received a Silver Certificate from the BPI. Unexpectedly, after Rockpile released their first LP under their own name, Seconds of Pleasure (1980), the band split, generally attributed to tensions not between Edmunds and Lowe but between their respective managers. Edmunds and the band, including Lowe, performed in a music video for the track "Girls Talk", directed by Martin Pitts and produced by Derek Burbidge and Helen Pollack. For the video, the band set up on the roof of the Warner Brothers Records building in Midtown Manhattan in the early afternoon, causing a stir in offices in Rockefeller Center. Edmunds spent the 1980s collaborating with and producing an assortment of artists, from Paul McCartney to King Kurt, and from Stray Cats and Fabulous Thunderbirds to Status Quo. He recorded the soundtrack for Porky's Revenge! 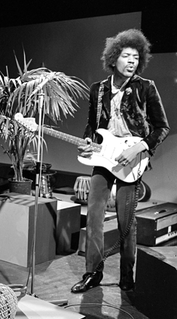 , supplying the main theme, "High School Nights," and was the musical director for a television special starring Carl Perkins, with assorted guests including George Harrison, Ringo Starr, and Rosanne Cash. In 1989 he produced the album Yo Frankie for Dion DiMucci. On his 1983 release, Information , Edmunds collaborated on two songs with Jeff Lynne, the leader of Electric Light Orchestra. One of these songs, a Lynne composition, "Slipping Away", became Edmunds' only other US Top 40 hit, albeit just barely, spending a single week at No. 39 while having a video clip in heavy rotation on MTV. It was not a hit in the UK. In 1984, Lynne produced six tracks on Edmunds' following album, Riff Raff . On New Year's Eve 2008, he appeared on Jools Holland's annual Hootenanny , performing "Girls Talk" and "I Hear You Knocking". He was Holland's guest again at Borde Hill Garden on 20 June 2009, on 28 August at open-air concert at Carrickfergus Castle.,  31 October at Ipswich Regent, 7 November at Stoke Victoria Hall and 14 November at Nottingham Concert Hall. Edmunds also played a five-song set, including "I Hear You Knocking," "I Knew the Bride" and "Sabre Dance" with the Holland Big Band at the Royal Albert Hall on 27 November 2009. Nicholas Drain Lowe, known as Nick Lowe, is an English singer-songwriter, musician, and producer. Paul Melvyn Carrack is an English singer, songwriter, composer and multi-instrumentalist who has recorded as both a solo artist and as a member of several popular bands. The BBC dubbed Carrack "The Man with the Golden Voice", while Record Collector remarked: "If vocal talent equalled financial success, Paul Carrack would be a bigger name than legends such as Phil Collins or Elton John." Love Sculpture were a Welsh blues rock band of the late 1960s, led by Dave Edmunds, plus bassist John David and drummer Rob "Congo" Jones. Labour of Lust is an album by British singer-songwriter Nick Lowe. Also produced by Lowe, it was released in 1979 by Radar Records in the UK and Columbia Records in the US. It was recorded and released at the same time as Dave Edmunds' Repeat When Necessary and features the same Rockpile personnel. It led off with "Cruel to Be Kind," Lowe's only major US hit. Repeat When Necessary is the fifth album by Welsh rock musician Dave Edmunds. Tracks on Wax 4 is the fourth album by Welsh rock musician Dave Edmunds. 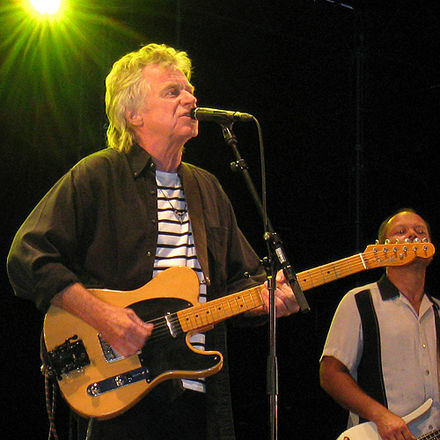 The record was the first Edmunds solo effort to feature all four members of the band Rockpile: Edmunds, Billy Bremner, Nick Lowe, and Terry Williams. 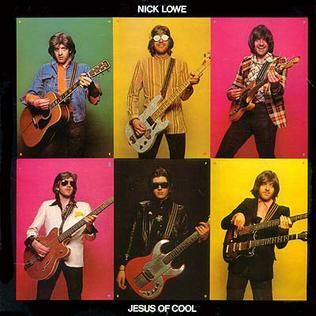 Jesus of Cool is the solo debut album by British singer-songwriter Nick Lowe. Produced by Lowe, it was released in March 1978 by Radar Records in the UK. Rockpile was a British rock and roll group of the late 1970s and early 1980s, noted for its strong pub rock, rockabilly and power pop influences, and as a foundational influence on new wave. The band consisted of Dave Edmunds, Nick Lowe, Billy Bremner and Terry Williams (drums). Seconds of Pleasure was a 1980 album by Rockpile, a band consisting of guitarists/vocalists Dave Edmunds and Billy Bremner, bassist/vocalist Nick Lowe, and drummer Terry Williams. The band had played together on various solo albums by Edmunds and Lowe in previous years, but Seconds of Pleasure would be the first album released under the Rockpile name. Get It is the third album by Welsh rock musician Dave Edmunds, released in 1977. Some of the songs were performed by an early "trio" version of Rockpile ; others were recorded by Edmunds solo. Also recorded in these sessions was the non-album Edmunds-Lowe tune "As Lovers Do", which was used as the B-side of both "Here Comes the Weekend" and the later "Crawling from the Wreckage". "New York's a Lonely Town", the B-side of "Where or When" was also recorded during the six-week sessions for the album. William Murray Bremner is a Scottish guitarist, best known for his work in the band Rockpile and on many of Nick Lowe and Dave Edmunds' albums. He has also played with The Pretenders, Shakin' Stevens, Carlene Carter and The Coal Porters, as well as issuing four solo albums. Nick Lowe and His Cowboy Outfit is a 1984 album by British singer-songwriter Nick Lowe. The record marked the official debut of Lowe's new band, the Cowboy Outfit. Nick Lowe and His Cowboy Outfit was reissued in 2000 by Demon Music Group. Subtle as a Flying Mallet was the second solo album by Dave Edmunds, principally focused on sound-alike remakes of late 1950s and early 1960s hits. All of the vocals are by Edmunds, and many of the songs are true solo efforts in that Edmunds also plays all the instruments. The album produced two Top 10 singles in the UK, remakes of the Phil Spector hit "Baby, I Love You" and The Chordettes' "Born to Be with You". A 2006 reissue of the album includes two former B-sides as bonus tracks. D.E. 7th is a 1982 album by Welsh rock musician Dave Edmunds. The album was Edmunds' first project for Arista Records and Columbia Records, following a five-year stay with the Swan Song label. 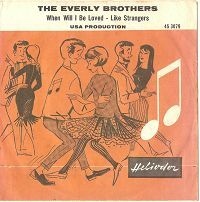 "When Will I Be Loved" is a classic popular song written by Phil Everly of the Everly Brothers, who had a US top ten hit with it in 1960. Linda Ronstadt covered the song in 1975, and her version was an even bigger hit in the US peaking at No. 2. John David, is a Welsh musician and songwriter known equally for his work with Dave Edmunds and for his songwriting. "I Knew the Bride " is a song written by Nick Lowe and first popularized by Dave Edmunds. It was released on Edmunds's 1977 album Get It and a year later in a live version by Nick Lowe's Last Chicken in the Shop on Live Stiffs Live. ↑ Erlewine, Stephen Thomas. Artist Biography by Stephen Thomas Erlewine at AllMusic. Retrieved 23 January 2016. ↑ "Edmunds summary". Itsaboutmusic.com. Archived from the original on 15 April 2005. Retrieved 9 October 2011. ↑ "BBC Edmunds Tribute". Bbc.co.uk. Archived from the original on 21 November 2003. Retrieved 9 October 2011. ↑ "biography". Makingtime.co.uk. Retrieved 9 October 2011. ↑ "The Human Beans : Single 1967 : Columbia DB 8230 : "Morning Dew (Take Me For A Walk)" / "It's A Wonder"". Webcitation.org\accessdate=2015-08-17. Archived from the original on 26 October 2009. 1 2 3 Roberts, David (2006). British Hit Singles & Albums (19th ed.). London: Guinness World Records Limited. p. 179. ISBN 1-904994-10-5. ↑ Murrells, Joseph (1978). The Book of Golden Discs (2nd ed.). London: Barrie and Jenkins Ltd. p. 278. ISBN 0-214-20512-6. ↑ Edmunds also appeared in the Paul McCartney film, Give My Regards to Broad Street , but just as part of McCartney's backing band. ↑ Chip Madinger & Mark Easter, Eight Arms To Hold You: The Solo Beatles Compendium (Chesterfield, MO: 44.1 Productions, 2000), 538, 570. ↑ "STRAY CATS - LONDON, ENGLAND - 2008". Web.archive.org. 12 September 2008. Retrieved 19 January 2019. ↑ "Ents24.com". Ents24.com. 20 June 2009. Retrieved 9 October 2011. ↑ Steffen Hung. "Dutch Charts". dutchcharts.nl. Retrieved 2015-08-16. ↑ "Dave Edmunds - Here Comes The Weekend | Top 40". Top40.nl. Retrieved 2015-08-16. 1 2 "Certified Awards". Bpi.co.uk. Archived from the original on 6 February 2013. Retrieved 2015-08-16. ↑ Steffen Hung. "Swedish Charts Portal". swedishcharts.com. Retrieved 2015-08-16.